ODB++ data permit photo-realistic representation of the assembly in 3D format. ODB++ data permits a view of the PCB. Structure for integrating soldering systems in the company IT. We are living in a world increasingly marked by digitalisation and networking. 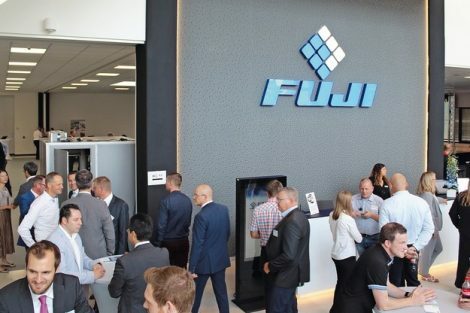 This development is also filtering through into production areas previously shaped by the implicit expertise and experience of individual employees. The demand for reduced reliance on these leads to the deployment of new technologies. Assistance systems play a major role here, supporting production staff in their decision-making. 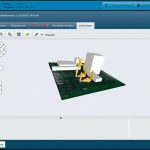 One assistance system which responds to these requirements to a high degree and provides long-term support in the in part complex field of soldering program generation for selective soldering systems is the completely newly-developed Ersa CAD Assistant 4. Electronic assemblies are becoming ever-more complex, with the most diverse components, densities and board designs. Despite the SMT mainstream, selective soldering engineering is still a strong growth market in electronics production. The later soldering of THT components on electronic assemblies which have already been reflow soldered, is as an inherent element in many manufacturing environments. One firmly-established technology is selective soldering with miniwave soldering systems. These systems operate with small soldering waves, which approach and solder the THT soldering joints on an X-Y-Z axis system, CNC-controlled. The CNC sequence contains all the position data, route parameters and process parameters necessary for reliable and high-quality THT soldering joints. The fast and reliable program of the soldering process is an essential element of efficient electronics production. In order to guarantee the highest machinery uptime, Ersa CAD Assistant 4 allows the programming to be undertaken, and changes made, while the system is running. 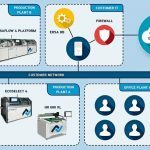 Due to the complete integration into the Ersasoft 5 operating software, these programs can be used directly on the machinery, without any detours. CAD Assistant 4 also supports the programming of modules with two independent axis systems (Versaflux & Versaflex). The data sets for the CNC axis systems are edited with a simple “drag and drop”. Predefined data sets can be easily adapted to the current application. A plausibility test actively supports the user in the integrity check. 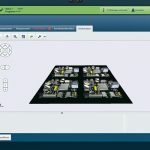 The solution uses CAD data or images of scanned assemblies for programming. All movements of the fluxer and solder wave appear graphically in the image of the PCB, with the process parameters being entered in parallel. The program data generated in this way is immediately available in the selective soldering system and allows the entire process to be simulated and checked for integrity. 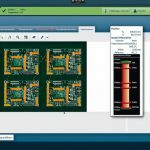 Moreover, the CAD Assistant 4 offers an auto-routing function, based on the traveling salesman principle, which allows the software to independently calculate the fastest soldering program for an assembly, i.e. the software suggests the ideal route for the flux and soldering program. 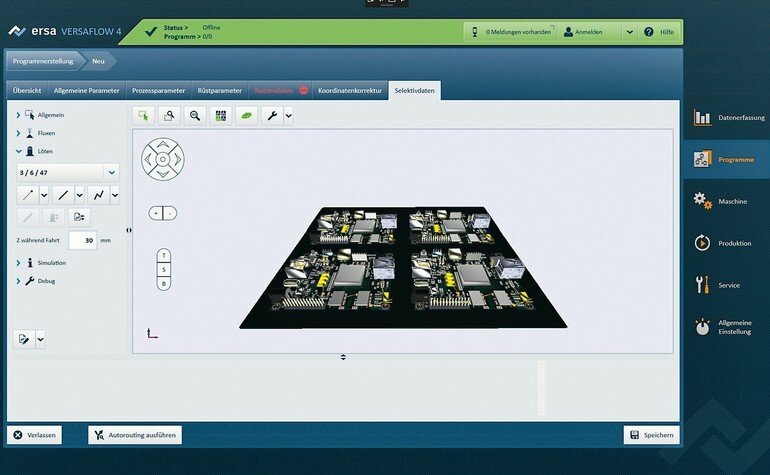 The CAD Assistant 4 offers the user new possibilities to create a soldering program. The import of 3D data provides the process engineer with additional information that supports him in programming. This data includes information about the conductive layers of the boards, drilling holes, component part lists, placement data and exact measurements. This means that the exact free space around the solder joints is known at every spot on the board. ODB++ is a data exchange format that can be exported from almost all the layout programs available on the market. But of course all the other current 3D-/CAD data, such as GenCAD or IPC 2581 can also be used. Furthermore, there is the possibility of scanning-in images of the PCB. Here too, all standard formats (jpg, bmp, png, tif, gic, etc.) can be used. In this case, the 2D image is projected onto the screen, then cross-referenced and provided with the necessary process parameters by the operator. The use of CAD data such as ODB++ offers the process engineer enormous benefits in programming. Such information as heat capacity, drilling data, etc. is of central significance for optimum soldering results. Components and the relevant process parameters are stored in a database, so that the pre-defined process parameters from familiar components can be automatically transferred to new assemblies. Where necessary, these can be individually adapted by the operator. The option is also available of “marrying” components with flux and soldering parameters and storing these permanently in the database. On the basis of the ODB++ data of the assembly, the CAD Assistant 4 supplies further information on the components to be used, the drill holes and the individual layers of the PCB. The geometry of the components is stored as a 3D model in the ODB++ data set. If there are already components on the soldered side of the assembly, they may not come into contact with the soldering wave. The solder pots have to avoid and detour around this area during positioning. To ensure this, the user defines the “off-limit areas”. When the software generates the CNC route, it recognises the areas which are off limits and masks them from the operating space available. Templates offer the process engineer a fast start in program creation with the CAD Assistant 4. 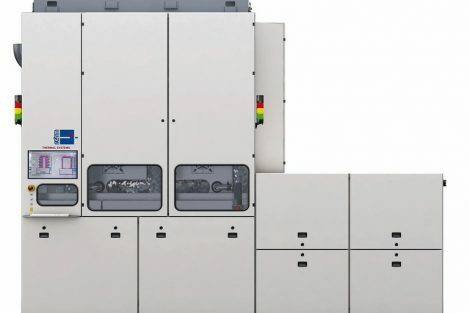 In the program, Ersa has stored templates for different nozzle sizes and operation modes which can be used for the creation of soldering programs. Pre-defined templates can be individually adapted, re-defined if necessary, and saved for future use. When changing the parameters of the templates, the process engineer has enormous flexibility and adapts the order of the process steps to his requirements by drag & drop. Completed templates can simply be transferred from one machine to another by the export and import function. In addition, the software offers the option of authorising different user levels. The adaptation or alteration of templates of this kind, where required, can only be carried out in pre-defined areas. For example, a specific work sequence and speed can be set while the contact time at the individual point can be individually adapted. While programming, the process engineer defines the solder nozzle for each solder joint. The intelligent autorouting algorithm then assigns the individual jobs to the available solder modules and solder pots. This ensures that the correct nozzles and process parameters for the solder joints are used. The autorouting algorithm is designed to calculate the fastest path. 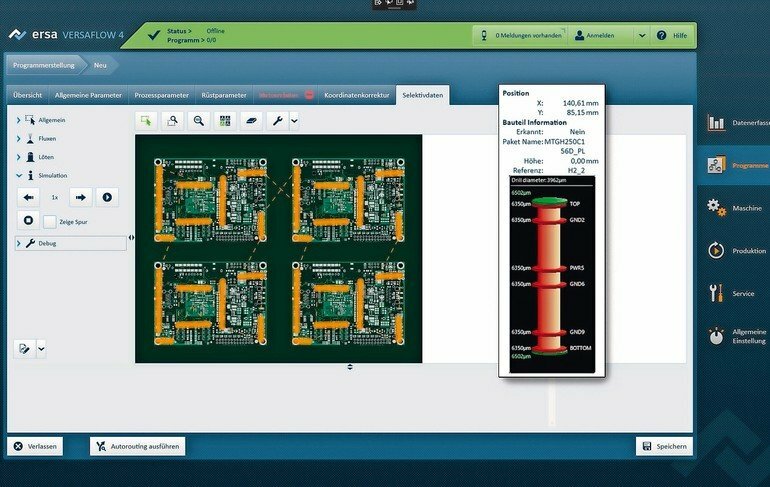 In addition, the software offers the option of simulating the soldering sequence and soldering paths, in real time, while still in the office. This offers huge advantages, particularly for the highly-flexible Versaflux and Versaflex modules. The user always retains the possibility of adapting the autoroute function. In this way, high-mass components or sensitive components can be prioritised so that they are soldered first. 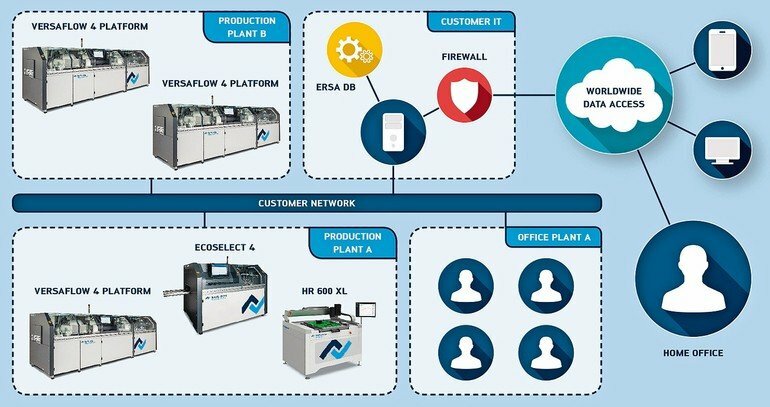 For saving all the data on the soldering plant, the Ersasoft 5 platform uses a common database system. This ensure that the data is saved in a structured form. The data can then be retrieved easily and quickly when needed, for example for long-term analyses. A high level of data security is always ensured by the automatic backup intervals which can be set individually. In order to further increase data security, installing the database in the customer’s computer centre is advised. This means that a number of machines can share a database and use it to exchange data among themselves. 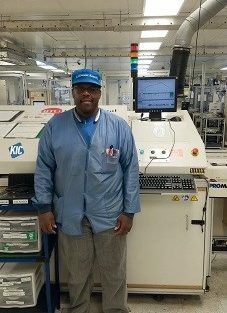 This ensures, for example, that when a product is manufactured in several different locations, the processes are the same in all the production sites, no matter where in the world the soldering system is standing. The huge benefit offered by this approach is the central administration of the datasets. Changes to the datasets are possible at any time, but are carried out centrally. When a soldering system retrieves a dataset from the central database, it is ensured that the data is up to date. This approach keeps process reliability at the highest possible level. In sharp contrast to this is the updating of datasets on the computer in the system itself. With manufacturing sites scattered around the globe, local data management is difficult and not guaranteed. Local data saving is still possible, but for the reasons given, is not recommended. 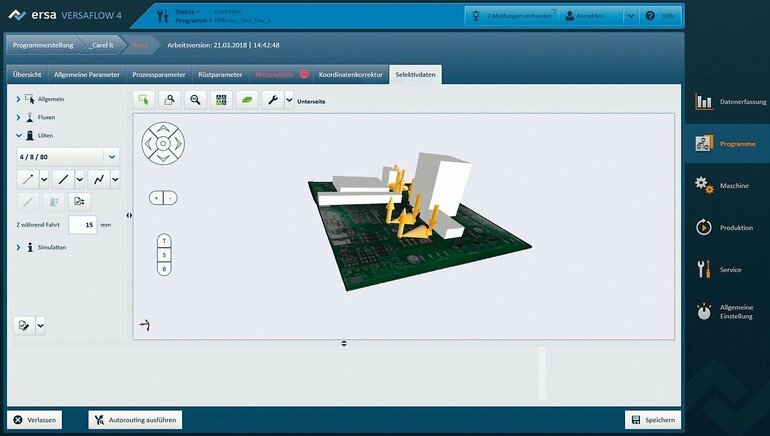 With the CAD Assistant 4, the company is offering a further central component for the digital, networked factory of the future. The open database system and the use of conventional 3D data formats from the assembly development, permit mutual access to immense quantities of data and information. Process parameter, PCB and component specifications are centrally available. With simultaneous feedback of quality data to the same database, completely new possibilities open up. For one thing, for the easy creation of soldering programs, as the programmer has access to data and values based on experience from other production sites. For another, it makes much greater sense to link the program and quality data in smart form and, in this way, create the basis for efficient process optimisation. When the user exploits the possibilities of centralising data in his computer centre, the highest level of data security is guaranteed. At the same time, this provides the huge benefit of central data management. With manufacturing sites scattered around the globe, this is a major advantage and the essential basis for maximum process reliability. The CAD Assistant 4 is a central component of the Ersasoft 5 and is available for the Versaflow 4 Generation selective soldering systems. It encompasses the series – Smartflow 2020, Ecoselect 4, Versaflow 4/55 and Versaflow 4 XL. Wir leben in einer Welt, die zunehmend von Digitalisierung und Vernetzung geprägt ist. Diese Entwicklung schlägt sich auch in Produktionsbereichen nieder, die zuvor vom Know-how einzelner Mitarbeiter geprägt waren. Die Forderung nach einer geringeren Abhängigkeit von diesen führt zum Einsatz neuer Technologien. Der Artikel zeigt, dass Assistenzsysteme dabei eine große Rolle spielen und die Produktionsmitarbeiter bei ihren Entscheidungen unterstützen. Nous vivons dans un monde de plus en plus façonné par la digitalisation et la mise en réseau. Ce développement se trouve également dans les zones de production qui étaient auparavant caractérisées par le savoir-faire de chaque employé. La demande pour une moindre dépendance conduit à une plus grande utilisation des nouvelles technologies. L‘article d’écrit que les systèmes d‘assistance jouent un rôle important en aidant les employés de production à prendre des décisions. Мы живем в мире, который уже невозможно представить без цифровых технологий и сетей. Это развитие находит отражение в сферах производства, эффективность которых прежде зависела от ноу-хау отдельных сотрудников. Необходимость в снижении подобной зависимости приводит к использованию новых технологий. В статье рассказывается о важной роли систем помощи, которые оказывают поддержку сотрудникам производства при принятии решений.